I hope everybody had a safe and happy 4th of July weekend! Mine was.....crazy. I'm tired. Let's leave it at that for now. I'm sure I'll write a rambling post, I have tons to tell you guys. But for now, I have a very special treat for you. A guest tutorial! 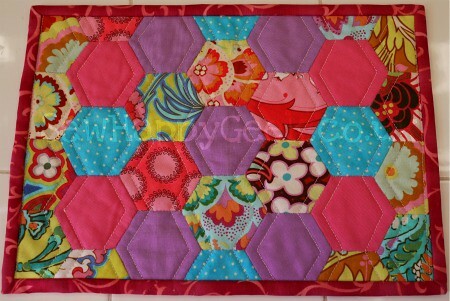 My dear friend Jenna over at SewHappyGeek wrote a wonderful hexagon mug rug tutorial for you. 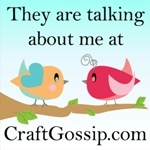 I'm participating in a mug rug swap she's organizing, and we're swapping tutorials as well as mug rugs. So exciting! How would you like to make THIS? Yeah, I know! Me too! So let's get our hexie on. Take it away, Jenna!